The 2019 Kia Sorento didn’t always come standard with three rows, but it does now. This spacious SUV is large enough to seat your entire family, or, when you configure the seats, hauling your largest cargo. 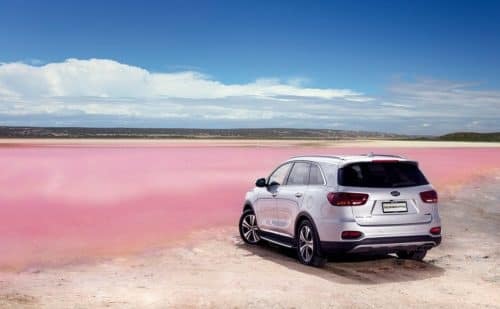 For 2019, the Sorento is available in five trim levels; L, LX, EX, SX, and SX limited. The base engine under the hood of the 2019 Kia Sorento is a 2.4-liter four-cylinder engine. This engine is paired to a six-speed automatic transmission for an in-control and responsive feeling that is easy to drive. The 2019 Sorento’s base engine earns 185 horsepower, which is plenty of power for getting from here to there. However, if you’re more of a thrill-seeker, consider upgrading the engine of the Sorento to the 3.3-liter V6 choice. This engine option allows for 290 horsepower and 252-pound-feet of torque. In this modern era, it’s all about technology. The 2019 Kia Sorento delivers when it comes to innovative technology, thanks to the vehicle’s Android Auto and Apple CarPlay connectivity. Utilize these systems to sync your smartphone to your Sorento to make hands free phone calls, to send hands free text messages, to stream your favorite music, and so on. Make the 2019 Kia Sorento yours when you make your way to Sunshine Kia of Miami. 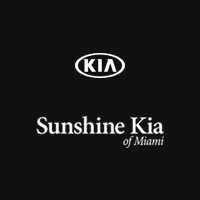 Locate our new and used Kia dealership at 17120 S Dixie Highway in Miami. You can also reach Sunshine Kia by phone at 855-288-7738. We hope to see you soon and can’t wait to get you behind the wheel of your very own 2019 Sorento!